Book Dambisa Moyo as a keynote speaker. 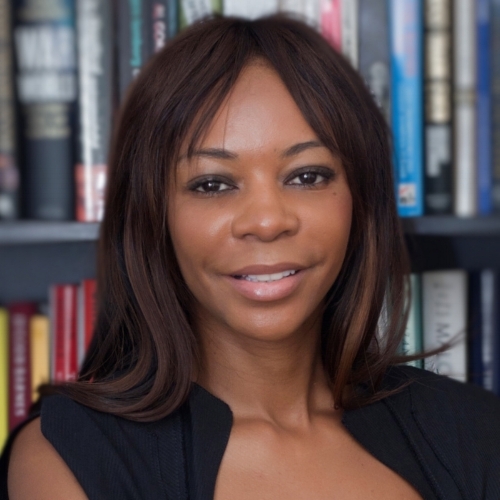 Dambisa Moyo is a world-renowned thinker on the key global trends shaping the 21st century, from macroeconomics and geopolitics to technology and millennials. For more information on economics and finance speaker Dambisa Moyo, contact VBQ Speakers founding agent Leo von Bülow-Quirk on leo@vbqspeakers.com or 0044 7833727090. Dambisa Moyo is a world-renowned thinker on the key global trends shaping the 21st century, from macroeconomics and geopolitics to technology and millennials. Respected for her unique balance of contrarian thinking with measured judgment, she has built a reputation among global policy-makers and investors for her ability to turn economic insight into actionable ideas. Dambisa is a Board member of Barclays Bank, Barrick Gold, and Chevron. She has been included in the Time 100 Most Influential people in the world, writes for publications such as the Financial Times, WSJ, Barron’s and Harvard Business Review, and has travelled to 80 countries. she has a PhD from Oxford University and a Masters from Harvard. Unafraid to break with conventional wisdom if the evidence points the other way, Dambisa is widely regarded as one of the world's foremost economic thinkers. How is economic and political power shifting? What is at the root of rising populism and nationalism? How will technology and demographic shifts re-shape the world order? What is the cause of poverty, and how can we tackle it?